See how Salesforce helps grow your business. Watch the #1 CRM in action. 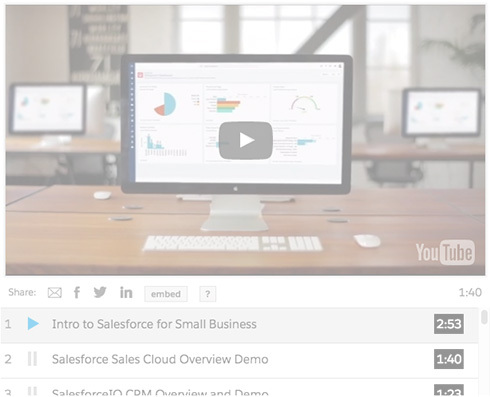 See how fast-growing businesses are using Salesforce to find, win, and keep new customers. To watch the demo — and get access to all our other demo videos — just fill out the form at right today.